Guitar effects have really come a long way in recent years. Both multi-effects/modeling units and individual stompboxes are normal and every-day parts of many guitarists’ arsenal of tones these days and players are getting used to this high degree of flexibility and are always looking for more. 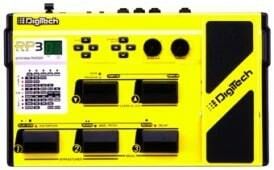 Enter the new Digitech RP1000. The RP1000 is the big kahuna top-of-the-heap of Digitech’s long-running RP series of effect processors and offers its users a staggering amount of modeling and effect-driven firepower, plus the ability to integrate a players’ existing pedals into the system. In other words, the RP1000 becomes part of your world, rather than the other way around. This gives players an almost Bradshaw-like degree of command and control of their sound that, for once, doesn’t come with a price tag only rock stars can afford. The RP series is known for loads of amp and cabinet models, and the RP1000 does not disappoint in this area. There are more than 50 amplifier models on board, ranging from original Digitech creations to replications of some of the most popular amps in guitar history. Amps modeled include a ’57 Fender Tweed Champ and Deluxe, ’59 Fender Tweed Bassman, ’62 Fender Brownface Bassman, ’65 Fender Blackface Twin Reverb, ’68 Marshall 100 Watt Super Lead, ’83 Marshall JCM 800, ’01 Mesa Boogie Dual Rectifier, ’95 Matchless Chieftain, and a ton of others. There are also 26 speaker cabinet models here, as well, differing in size and age, so it is easy to see the amount of combinations possible with the RP1000 and the many tones that can be crafted. There is a similar abundance of choices in the effect department, too. There are 23 different distortions on the RP-1000, including vintage and modern favorites like the Arbiter Fuzz Face, Boss DS-1, Fulltone OCD, and more. Beyond these, users will find wahs, compressors, delays, rotary effects, choruses, tremolos, envelopes, pitch shifters, genuine Lexicon Reverbs, and a looper capable of 20 seconds of recording time. All this effect power is thanks to Digitech’s Audio DNA2 processor, which provides point-to-point modeling with incredibly high definition no matter if the sound in question is an old-school favorite or an up-to-date Digitech creation. There are over 60 effects on board and, with total control over every parameter, it will be easy for players to find exactly the sound they require. The RP1000 also lets users control their effects and parameters stompbox-style, with 14 heavy duty metal footswitches and an expression pedal, which all feel great and sure. 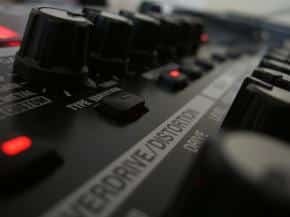 Plus, with Digitech’s free downloadable X-Edit software, presets can be programmed and stored on a computer, which is a nice touch. The coolest part of the RP1000, however, is the advanced switching system it features that lets the unit work with a players’ natural amp sound and existing pedals, rather than cover them up, as many similar effect devices do. This is accomplished in large measure by the RP-1000’s Amp Loop function, which removes all amp and cabinet models from the signal chain when activated. This allows whatever amp is being used to mingle freely with the effects on the RP-1000 with no additional coloration. The Amp Loop also lets players separate their amp’s preamp and power stages, which lets time-based effects go where they sound best, which is after the preamp stage, and puts overdrives, wahs, and distortion in front of the preamp where they belong. The RP1000 is the most capable and advanced RP unit Digitech has ever produced and is nothing short of stellar, especially considering the MSRP of $699.95. It packs a deadly combination of huge amounts of sounds and a high degree of control over those sounds. With its switching system, bypass modes, and loops, guitarists can access pretty much anything they would like easily and dial up their tones as they so desire. The full set of I/O on the rear panel lets the RP1000 get plumbed into any sort of live or recording situation with minimal fuss and truly puts the world of guitar sounds at the feet of its players, which is where they really should have been all along. 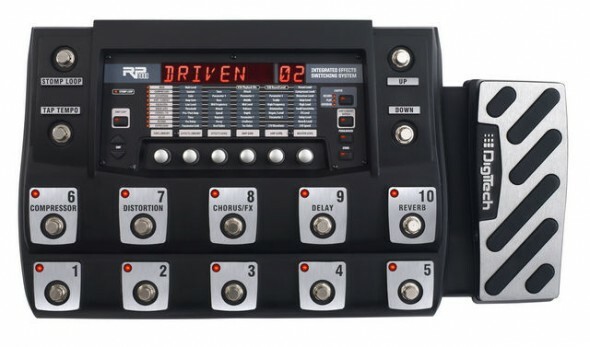 Does the Digitech RP1000 Modeling Guitar Processor do Metallica tones? Watch the video below and YOU decide! Digitech RP1000 Modeling Guitar Processor – Metallica Tones! The Digitech RP is great if you uses a quality amp. I use a Mesa single rec and a EVH 5150 111. I use my amp sounds but kick in the RP in for fx and overdrives. The amp modelling in my opinion is poor, too compressed, harsh, thin no bite as you would expect from a quality valve head. Worth buying?? I think so but don’t expect digital gear to sound like valve…IT WON’T. Think of analogue recordings and digital…You like it warm and hot or harsh, bright and brittle.